The European Union has provided Euro 13 million (FJ$30 million) for the upgrade of cane access roads around the country. This was confirmed by the Permanent Secretary for Sugar, Yogesh Karan, following his meeting with EU officials, the Ministry of Sugar and the Pacific Community in Lautoka on Friday. Mr Karan chaired the meeting which included talks on road and water projects for the cane farming areas. Mr Karan said all cane access roads could not be completed this year under the European Union aid but this should be done by next year. 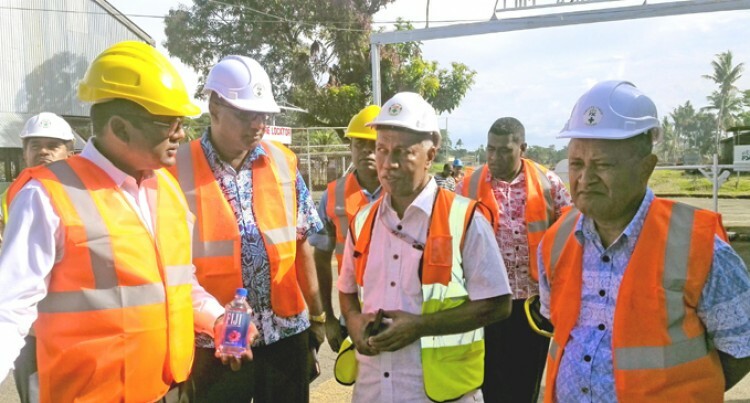 Meanwhile as for the recent breakdowns at the Lautoka and Rarawai sugar mills, Mr Karan confirmed there were stoppages, with particular concern at Rarawai. “About a metre long of the conveyor belt at the Lautoka Mill that takes the processed sugar to the bulk was worn out and it snapped,” he said. Mr Karan said the belt was stitched back together and this would be replaced with a new belt when there would be a low supply of sugar cane. As for Rarawai Mill, Mr Karan said there were some stoppages which we are concerned about as it had been happening for the past two weeks. “We cannot afford such stoppages as it is costing everyone including FSC,” he said. Mr Karan said engineers from India were called in to fix the problems at Rarawai and he was pleased that these problems have now been sorted out. In terms of extension to closing dates for all three mills, Mr Karan said with the present good running of the mills, he did not see any extension to these dates.